Asian brides wear the most amazing outfits on their wedding day in beautifully decorated wedding venues. 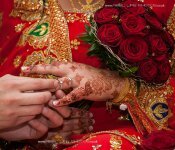 Here are a few pictures from my favourite Asian weddings and most interesting brides. 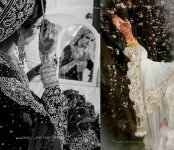 Some are Mehndi pics, others from the Walimah or Baraat, including some of Asian wedding venues, such as the magnificent Bolton Excellency, Crossley House in Halifax and the Sheridan Suite in Manchester.